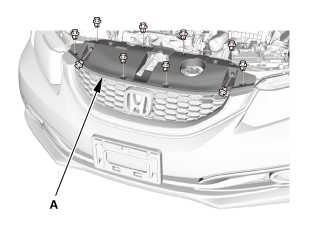 Remove the screws (A), the clips (B), and the bolts (C) securing the front bumper (D). 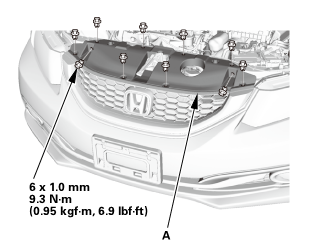 Pull out the front bumper (A) from the side spacer (B). 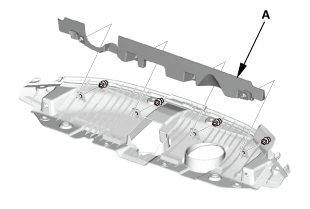 Repeat this step on the opposite side. 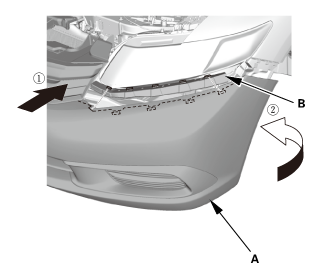 With the help of an assistant, pull out both sides of the front bumper (A) from the upper beam (B). 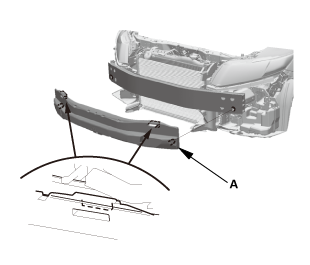 With the help of an assistant, remove the front bumper (A). 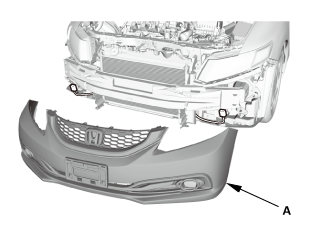 For some models: Remove the front bumper absorber (A). 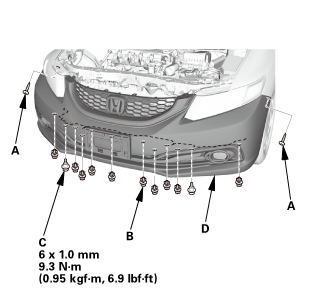 For some models: Install the front bumper absorber (A). 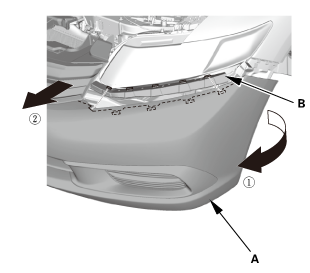 With the help of an assistant, install the front bumper (A). 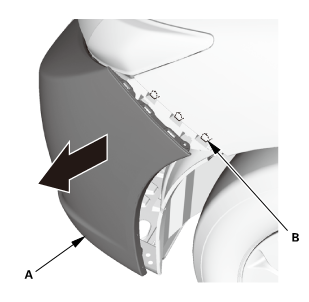 With the help of an assistant, install both sides of the front bumper (A) to the upper beam (B). Install the front bumper (A) to the side spacer (B). Repeat this step on the opposite side. 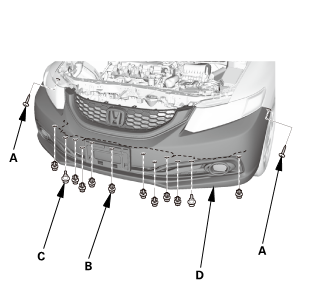 Install the screws (A), the clips (B), and the bolts (C) securing the front bumper (D).